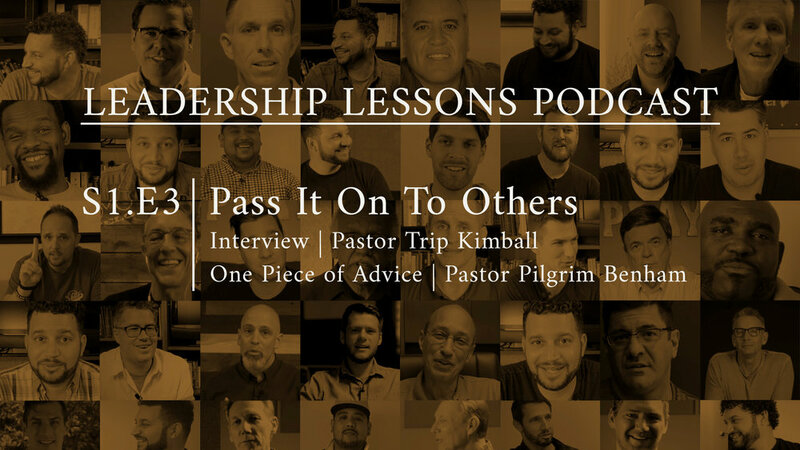 This week’s One Piece of Advice comes from Pastor Trip Kimball, Jacksonville, FL about leaders passing on to the next generation—empowering others. 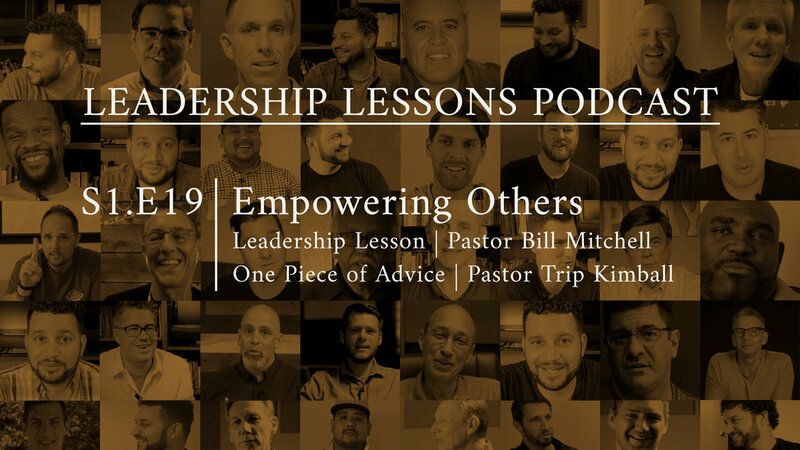 In this episode, Pastor Daniel talks about training leaders with Trip Kimball, Jacksonville, Florida, who is currently on staff with Poimen Ministries, a community of pastors serving pastors. You can find them at poimenministries.com. Trip draws from a lifetime of ministry experience which he shares in mentoring and developing leaders. Why is leadership important? “Just looking at what Jesus did…Jesus invested about three years of His life in the lives of men who became the foundation for the church.” The need for leadership in the church was apparent from the very beginning; you can read it in the epistles. Acts 6 describes a situation where more leaders were needed and how they resolved it: Therefore, brothers, pick out from among you seven men of good repute, full of the Spirit and of wisdom, whom we will appoint to this duty. (Acts 6:3) A pastor can’t do it all himself. He needs the help of those gifted and called by God. How do you do it? It starts very simply, working with a group of guys on how to study the Bible, how to put a message together, leadership basics. Then give them opportunities to do the work. Observe those already doing ministry. Who does what well? Pour into them what you know. You have to create opportunities for people to serve, to learn what works and what doesn’t. People learn by doing. Training others teaches you to do ministry better yourself. “I had people in my life who spoke into my life that were mentors. I looked back later at what did they do and then adapted to the situation at hand.” It’s the 2 Timothy 2:2 model, a pattern: …what you have heard from me in the presence of many witnesses entrust to faithful men, who will be able to teach others also. There are times of formal training, but the most valuable times are informal settings where people are free to ask questions. You need to be available. This is the intentional part of discipleship. You have to step up and do it. You need to learn to listen to the person and really hear what they’re saying, so you can respond to them. But you alone can’t possibly know everything. A person needs more than one mentor. This week’s One Piece of Advice is about that. Pastor Pilgrim Benham shares his advice on friendship in ministry and why it’s so important. Pastor Pilgrim Benham, Bradenton, Florida, shares his advice about the importance of having a true friend in ministry. The friendship of Paul and Barnabas serves as a great example of two men whose relationship endured times of closeness as well as disagreement. It was Barnabas—son of encouragement—who first introduced Paul to the apostles after his conversion on the road to Damascus (Acts 9:27). We need friends in ministry who will pull us, push us and challenge us in discipleship. We need accountability and encouragement. “We need to ‘vent up.’ We need to share our frustration in ministry, but we don’t want to do that with someone who is ministering under our care.” Find someone who is a peer or mentor in ministry, a person with whom you can talk openly and even weather conflict, iron sharpening iron (Proverbs 27:17). This needs to be a priority. “Do you have someone in your life that’s a friend, someone that you can rely one and they can rely on you?” Find more info on Pilgrim’s ministry at thisisshoreline.com and pilgrimbenham.com.